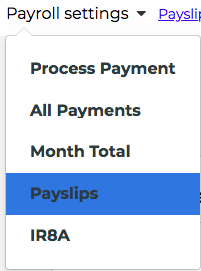 Step 1: Head to Payroll > Payroll Settings and click on Payslips. Step 2: Click on the View button for an employee. You will be directed to an unpublished payslip for your final check. Step 3: Thereafter, click on Set <Employee> pay date button (top right corner). 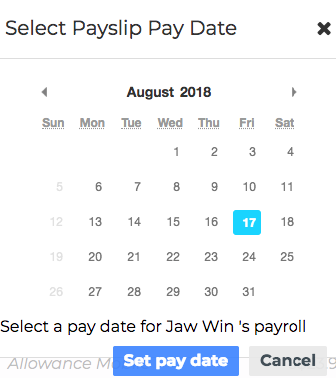 Step 4: A pop-up window will appear for you to set pay date for this employee only. After that, the pay date will immediately be reflected in the payslip. Step 5: For the final step, click on Print Payslip. The payslip will be sent to this employee only.